Los Angeles Lakers forward Kobe Bryant (24) points after hitting a three point shot against the Minnesota Timberwolves in the second half of a NBA basketball game at Staples Center on Tuesday, Feb. 2, 2015 in Los Angeles. Los Angeles Lakers won 119-115. It has taken about four days of practice for the Lakers to report feeling comfortable with a new offensive set that puts an added emphasis on floor spacing and ball movement. It apparently has taken Kobe Bryant only a few moments before mastering it without even practicing it. But when accounting for Bryant’s presence and the Lakers’ tendency to defer to their star player, how do the Lakers find the balance between adhering to the offensive principles while maximizing Bryant’s scoring abilities? 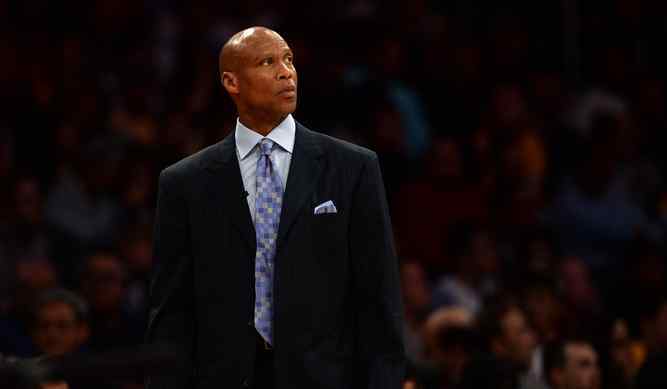 Among all the things that will bring a smile to Byron Scott’s face, no amount of rare victories or youth development will make the Lakers coach feel as elated as what could happen nearly two months from now. Then, Kobe Bryant will play in his final game in the Lakers’ season-finale against the Utah Jazz on April 13 at Staples Center. Then, Scott outlined one very specific wish that goes beyond Bryant having a vintage performance or leading his team to a win. So to do that, Scott will continue a season-long strategy in which Bryant will miss shootarounds and practices, which also included Monday’s session. Bryant could miss any of the Lakers’ 22 remaining games. But Scott expects Bryant will play when the Lakers (11-49) have a back-to-back slate on Tuesday against the Brooklyn Nets (17-42) at Staples Center and on Wednesday in Denver (23-36). During that time, Scott plans to play Bryant around 27 or 28 minutes, slightly under his season average of 29.2 minutes per game. Though Bryant has missed 11 games this season amid varying injuries to his back, right Achilles and right shoulder, Scott pinpointed one specific area on how the Lakers’ 37-year-old star has avoided suffering a season-ending injury. That marked a stark contrast in recent seasons for Bryant, who tore his left Achilles tendon (April 2013), fractured his left knee (Dec. 2013) and tore the rotator cuff in his right shoulder (Jan. 2015). Los Angeles Lakers’ Kobe Bryant waves to the crowd after receiving his Al-Star jersey prior to a NBA basketball game against the Minnesota Timberwolves at Staples Center on Tuesday, Feb. 2, 2015 in Los Angeles. The e-mail left a Lakers fan feeling more varying emotions than when he will witness Kobe Bryant’s final game in person. Jesse Sandler, a 32-year-old clinical social worker from Santa Monica, bought four tickets for $925 tickets for the Lakers’ season finale on April 13 versus Utah at Staples Center eight days before Bryant’s retirement announcement. But shortly after purchasing those tickets through Stubhub, the ticket resell website told Sandler that the seller “incorrectly” listed the tickets for sale. Stubhub added that tickets in a similar location near the basket by Utah’s bench would cost $6,000. But now? Sandler reported feeling “elated.” After sharing his story on The Lead Sports website, Tickets for Less offered four tickets in a similar location. Although Stubhub offered both a refund and two credits worth $100 and $1,000 for other purchases, Sandler declined “out of principle” and chose Tickets for Less’ proposal. Since then, Sandler donated those tickets to After School All-Stars, while Budweiser will grant Sandler and his friends access to the game. Why did the incident with Jesse Sandler get to the point to where it did? 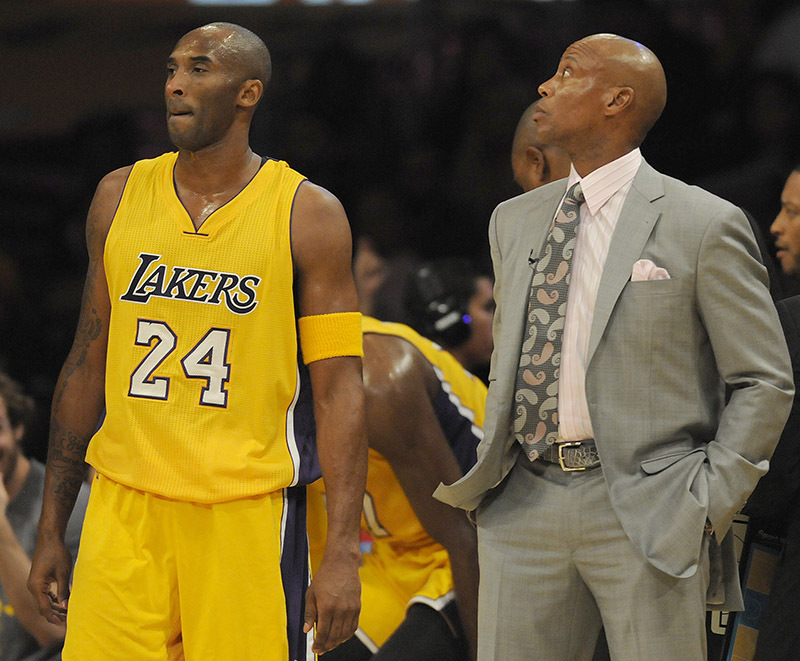 The constant pain has often led Kobe Bryant to both joke and lament to Lakers coach Byron Scott about an uncomfortable reality. 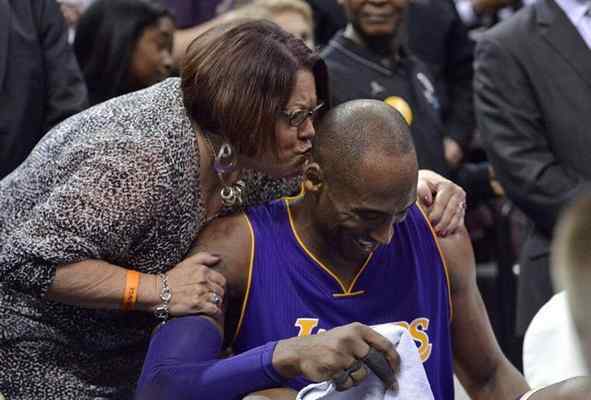 That pain took on a new turn for Bryant, who missed Friday’s game against the Memphis Grizzlies at Staples Center. Yet, Scott still believed there marked a “good chance” for Bryant to return in the Lakers’ back-to-back this week, both on Tuesday against Brooklyn at Staples Center and on Wednesday in Denver. Nonetheless, the Lakers have not formally decided considering Bryant was at the team’s facility during practices on Saturday and Sunday. Scott believed Bryant will report to the facility on Monday for treatment, though that was not concrete. Bryant has missed a combined 11 games this season amid overlapping injuries to his back, right Achilles and right shoulder. But lately, Scott said Bryant’s shoulder “bothers him every now and then.” Since announcing his retirement announcement in late November, Bryant has played 14 out of 21 games at Staples Center and appeared in 23 out of 24 road games. 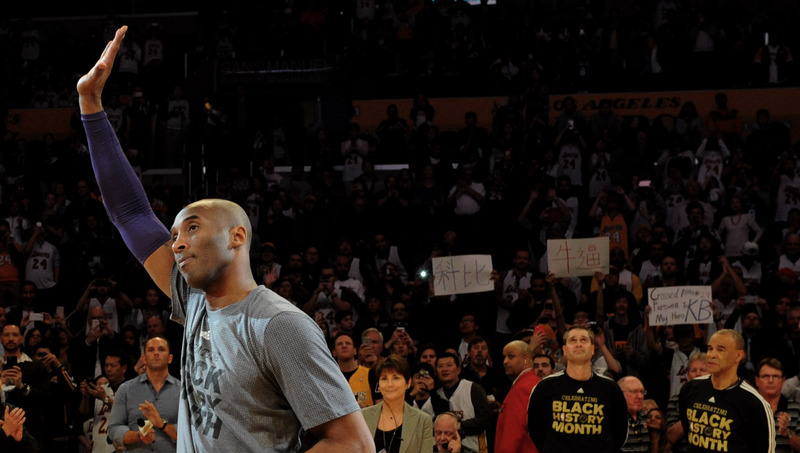 Bryant has more flexibility to miss any of the next 13 games at Staples Center. But he will also make final stops in Denver (Wednesday), Phoenix (March 23) and Utah (March 28). Lakers’ Byron Scott likes D’Angelo Russell’s progression, but is it enough to become a leader? The sample size filled with stronger production and increased minutes in a starting role made Lakers rookie point guard D’Angelo Russell credit something that he believes went beyond his control. The Lakers (11-49) enter Tuesday’s game against the Brooklyn Nets (17-42) at Staples Center with Russell averaging 17 points on 50 percent shooting and 5.25 assists in 31.5 minutes since becoming a starter. That marks a sharp contrast from his season averages of 12.3 points on 41.8 percent shooting and 3.5 assists in 27.3 minutes per contest. Yet, Lakers coach Byron Scott argued on Sunday that Russell’s improved numbers and increased playing time only happened because he played better. The sequences seemed so monotonous as the Lakers hosted an open layup line and 3-point shooting contest anytime the Memphis Grizzlies wanted. The anxiety reached fever pitch with scattered boos, an audible expletive a fan yelled near press row and an exasperated Mitch Kupchak overseeing the wreckage. 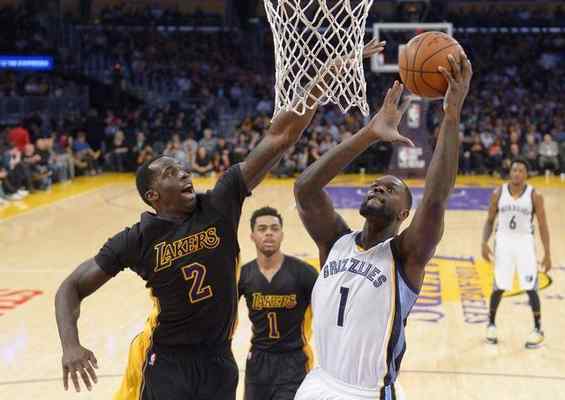 All of which looked awfully familiar as the Lakers suffered a 122-95 loss to the Memphis Grizzlies on Friday at Staples Center. The Lakers (11-49) lost their eighth straight game and became two defeats away from setting the franchise record once again for consecutive losses (10), something they already set in the 1993-94 season and tied in January. But there marked two distinguishable differences. The second change came to light in the locker room. Scott installed a new offensive scheme during Thursday’s practice, a tactic that became surprising for two reasons. The Lakers had exactly one day to master new concepts. The changes happened with 22 games remaining. The video tributes and standing ovations have played like a continuous loop. Kobe Bryant has greeted each opposing venue with warmth and nostalgia after they once welcomed him with boos and jeers. But after the Lakers took a three-game trip all with stops Bryant visited for the last time, that farewell tour will not extend back to Los Angeles for at least one night. Bryant will sit out when the Lakers (11-48) host the Memphis Grizzlies (33-23) on Friday at Staples Center because of soreness in his right shoulder. “It might have been one of those days where he slept wrong and woke up and it was a little sore,” Lakers coach Byron Scott said. Scott reported the Lakers did not become aware of Bryant’s increased pain in his surgically repaired shoulder until he alerted head athletic trainer Gary Vitti at about 2 p.m. on Friday. But Bryant’s absence coincides with the Lakers having a heavy homestand in the next month, which may or may not be related. 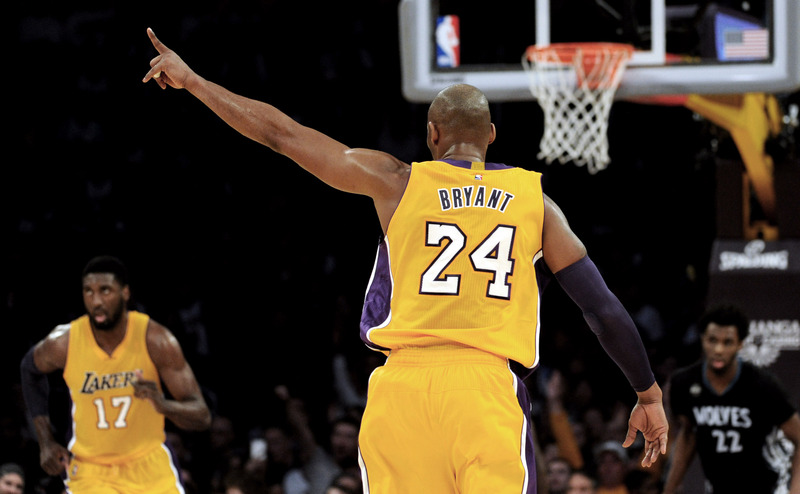 Bryant will have four days to recover before the Lakers next play against Brooklyn on Tuesday at Staples Center. Bryant also does not have the guilt of missing one of the next 13 games at Staples Center this month as he would with final stops in Denver (March 2), Phoenix (March 23) and Utah (March 28). Bryant has missed 11 games this season with an equal mix of both games at home (six) and on the road (five), though that also included a designated away game against the Clippers at Staples Center. Bryant also missed three consecutive home games in January because of soreness in his right shoulder before returning on Jan 7 at Sacramento. 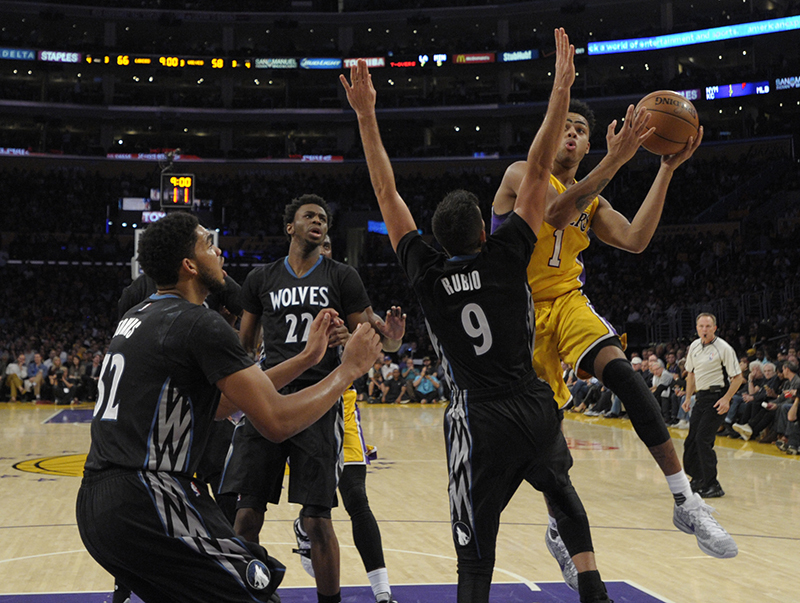 Lakers rookie forward Anthony Brown will start in Bryant’s place. Though Brown missed five of the last six games after spraining his right ankle, Brown has started in eight of the 11 games Bryant missed and averaged 4.6 points on 27.1 percent shooting in 28.6 minutes during that stretch. MEMPHIS, Tenn. – The endless praise went against Kobe Bryant’s thirst for confrontation in heated competition. The smiles and friendly exchanges contradicted Bryant’s rough exterior. The lavish gifts seemed too sentimental for a player who entered every game seeking to destroy the opposition. 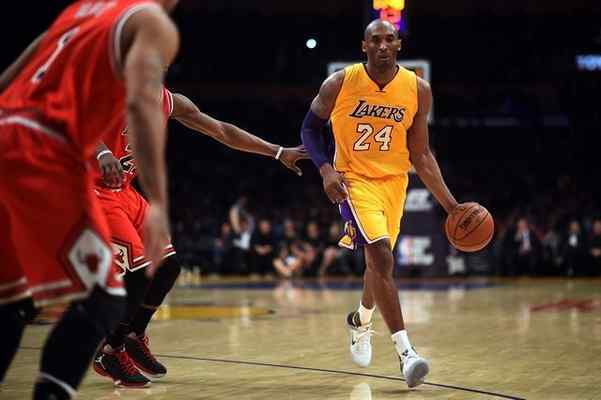 But despite his initial urges to avoid having a farewell tour during his last NBA season, Bryant decided otherwise. Nearly three months ago, he publicly announced his plans to retire following the 2015-16 campaign. Opposing team venues have featured endless video tributes and standing ovations. Games at Staples Center are just as festive and nostalgic. And Bryant has soaked in the atmosphere. He has become friendly with coaches, teammates, opponents and reporters alike that he encounters during his last stops. 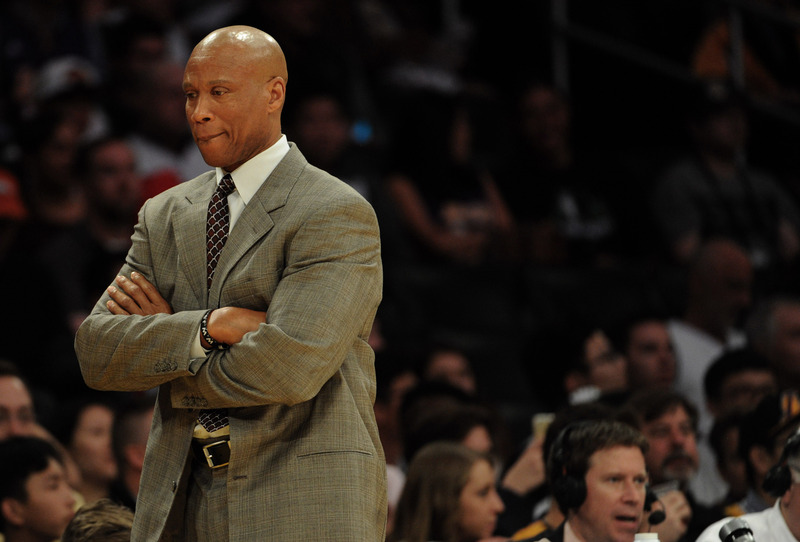 MEMPHIS — The question initially disturbed Lakers coach Byron Scott. So much that he professed he did not want to answer it. The Lakers have lost games, anyway, perhaps making this a moot point. But with the Lakers undecided if they will fulfill his four-year contract worth $17 million after this season, Scott spent the beginning of the season relying on Kobe Bryant and a veteran-laden roster while featuring D’Angelo Russell and Julius Randle off the bench. Scott gradually increased their workload once he believed they earned their time and the record worsened. MEMPHIS — The two men that will determine Larry Nance Jr.’s workload watched attentively from the sideline as the Lakers’ rookie forward hoisted jumpers. Lakers coach Byron Scott and trainer Gary Vitti then consulted with Nance about his sore right knee and determined he will be available to play tonight against the Memphis Grizzlies at FedEx Forum. 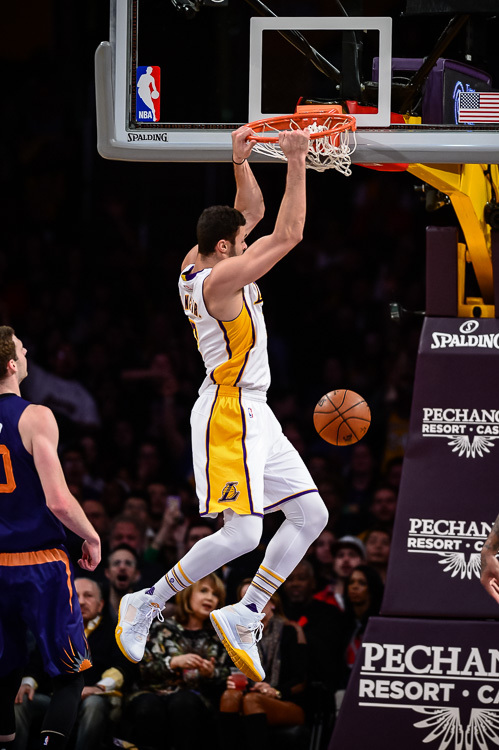 But Nance will play only limited minutes and his workload could quickly change depending on what happens with an injury that kept him out of 10 games in the past month.